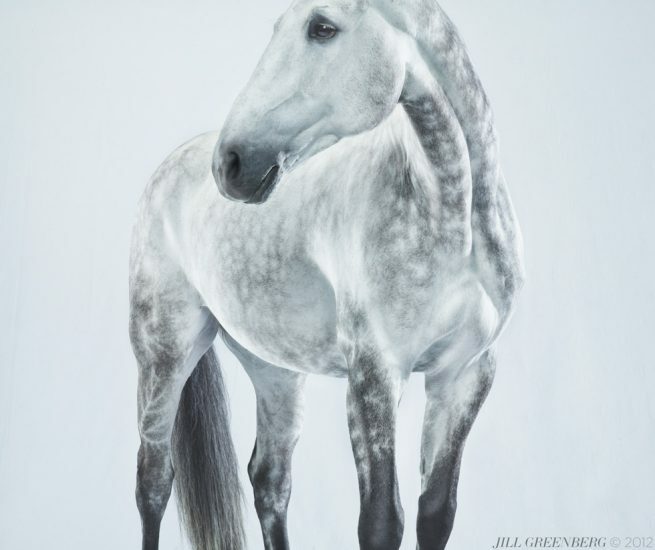 ClampArt is very pleased to announce “Jill Greenberg: Horse,” the artist’s seventh solo show at the gallery. 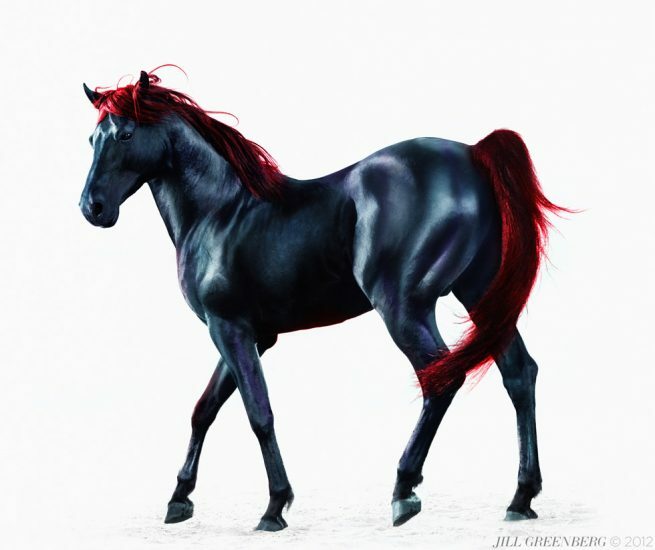 The exhibition coincides with the release of Greenberg’s monograph titled “Horses” from Rizzoli (Hardcover, 224 pages, 13 x 9.4 inches, $55), which includes an essay by the artist and a text from renowned writer, A. M. Homes. At the beginning, the project represented Greenberg’s return to her original muse. 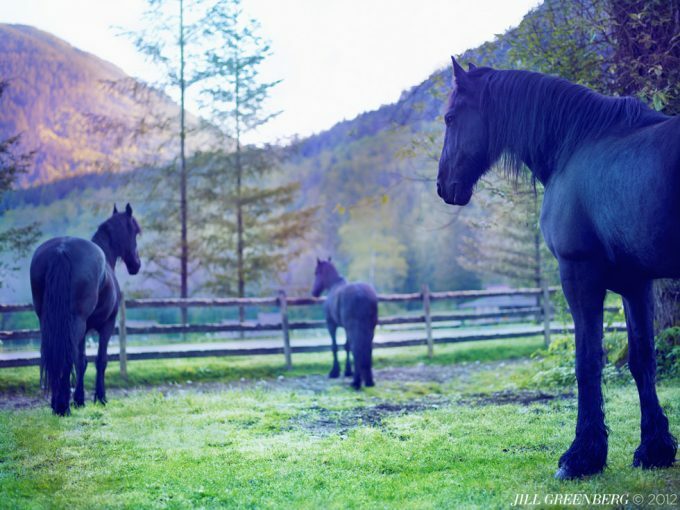 As a young girl she was obsessed with drawing, painting, and photographing horses. As Greenberg’s young daughter also picked up an interest in the animals and began riding, she started thinking about the bit, halter, and bridle in terms of how these animals are harnassed and controlled. 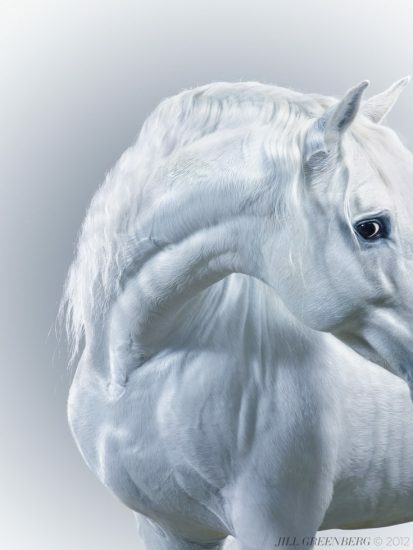 Greenberg soon found an article by a British academic who compared the ways horses function in society to the way women historically have been oppressed, and he included an illustration of a female wearing a “scold’s bridle,” which was a medieval punishment for mouthy women. 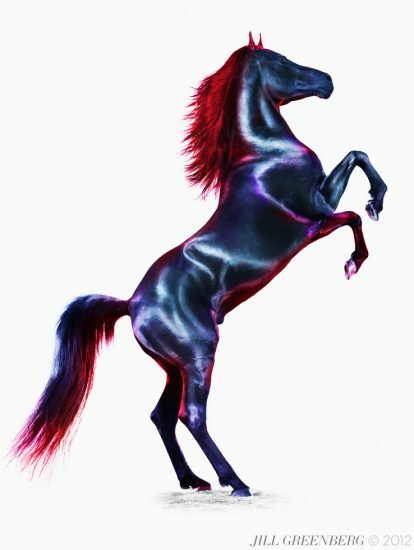 Greenberg, still enmeshed in her feminist series, “Glass Ceiling,” began thinking about horses in an entirely new light. In depicting these animals, Greenberg continually addresses issues of sexuality. She vacillates between highlighting the animals’ masculinity and femininity. 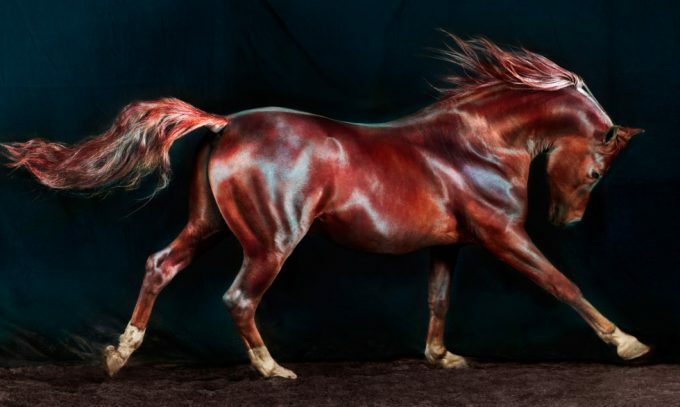 “In my essay [for the book],” explains Greenberg, “I explore how the photography relates to gender issues and whether horses are perceived as feminine or masculine,” says Greenberg. “I ended up getting to the place where they’re both.” Phallic necks and muscles are, in the end, balanced out with soft, pastel colors and tones. In contrast to her previous series of monkeys and bears, these photographs do not rely on countenance or anthropomorphization. 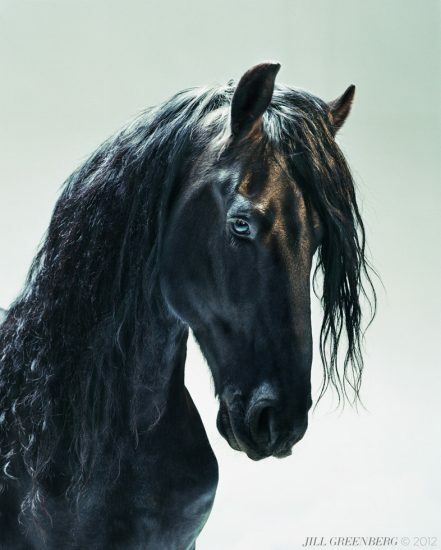 “If the monkeys and bears series were portraits of animals as actors, these are pictures of horses as if they were supermodels,” explains Greenberg. “It’s about figure studies and their physiques and their silhouettes.” Form, rather than expression, guides the work overall. This series is also unique with regard to the freedom Greenberg allowed herself in terms of postproduction work. Greenberg sets her work apart from that of many traditional photographers by allowing her own hand to play a more prominent role in the imagery. 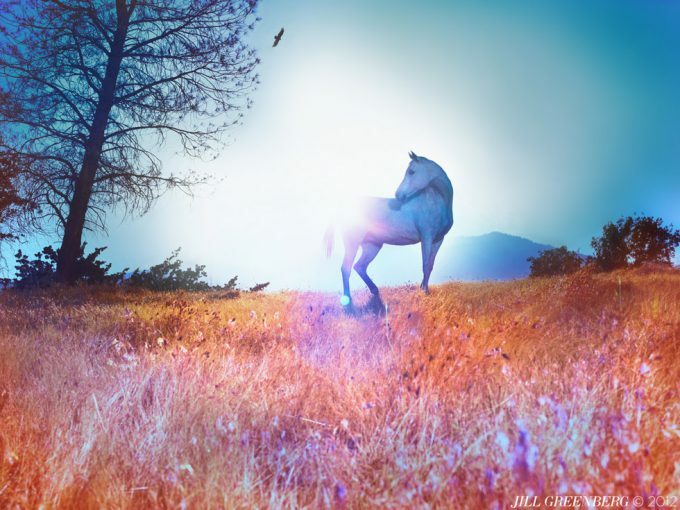 Using “digital painting” techniques, as she terms it, she layers a variety of unexpected colors to the images. ClampArt will also be partnering with Milk Gallery and Rizzoli for a book launch on Friday, October 19th, from 7.00 to 10.00 p.m., and a three-day exhibition through Sunday, October 21st. Milk Gallery is located at 450 West 15th Street, New York City. 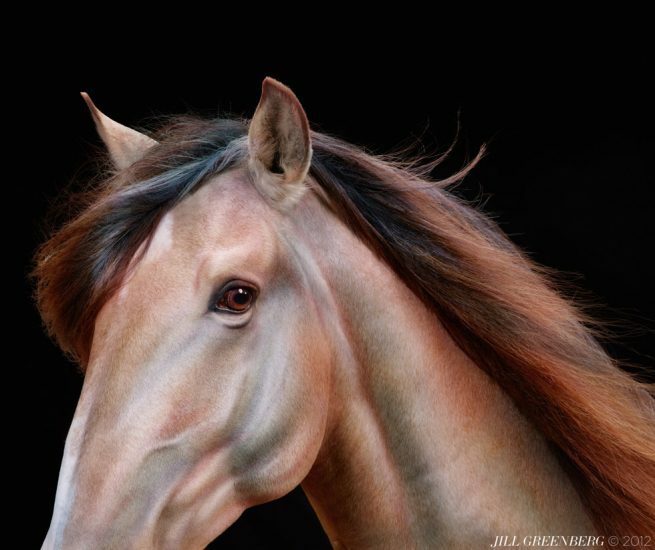 Jill Greenberg’s fine art has appeared in numerous prestigious publications such as the New Yorker, Washington Post, Boston Globe, New York Sun, Blink, Harper’s Magazine, Art Ltd, and French Photo. Her photographs have been exhibited in a great number of gallery and museum exhibitions all around the world, and her work is represented in such permanent collections as the Portland Art Museum, Oregon; The Kemper Museum, Kansas City, Missouri; National Academy of Sciences, Washington, DC; Southeast Museum of Photography, Daytona Beach, Florida; among others. For more information please contact Brian Paul Clamp, Director, or visit the gallery’s website at www.clampart.com. ClampArt is open Tuesday through Saturday, from 10:00 a.m. to 6:00 p.m.